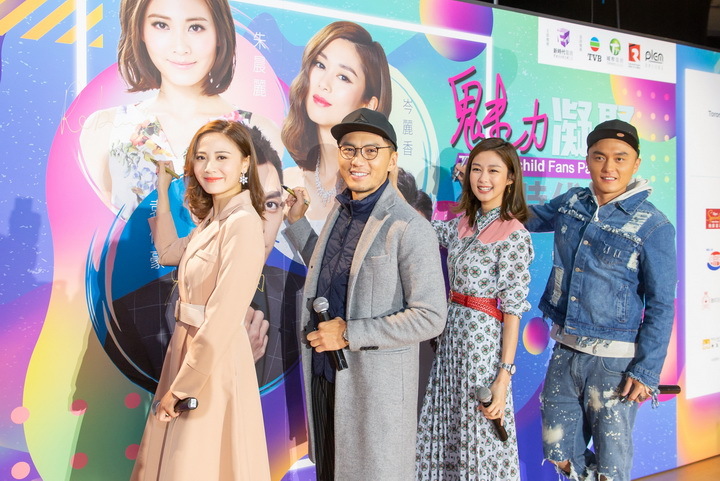 Benjamin Yuen, Mat Yeung, Eliza Sam and Rebecca Zhu greeted and gave away T-shirts to audiences. Only those who caught the T-shirts with a TVB keychain were invited to play games with the four TVB stars on stage. Rebecca Zhu and Benjamin Yuen sang two lovely songs each which swept the crowd off their feet! 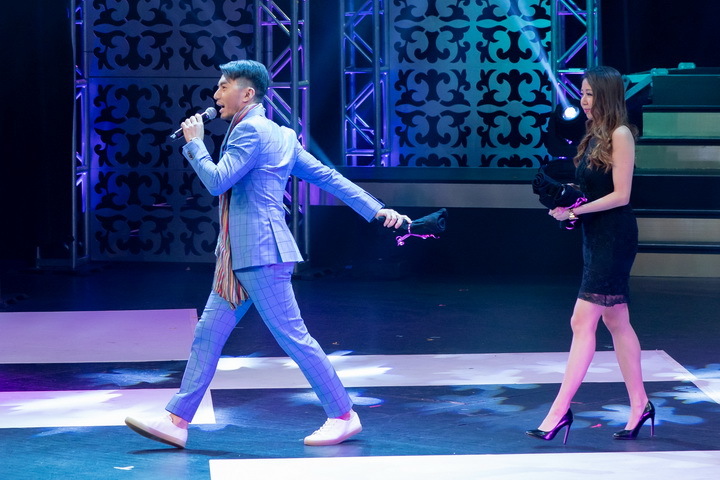 Mat Yeung along-side Eliza Sam who were both in Toronto in 2016 came back to join us once again and graced us with their enchanting singing voices that had the crowd going wild! They also handed out gifts and took photos with fans, which made it extra memorable for the audience members. The autograph session of the “TVB Fairchild Fans Party 2018” was held on April 7th, 2018 at First Markham Place. 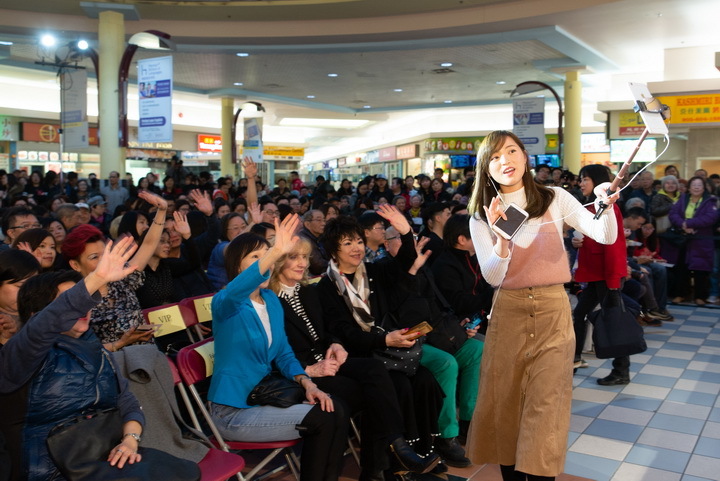 It was organized by Fairchild TV and co-organized by TVB, Talentvision, Fairchild Radio and PLEM Magazine. Tina Chow, the Director of Sales and Marketing and Eddie Chau, Production Controller presented a gift to thank the four TVB artists. 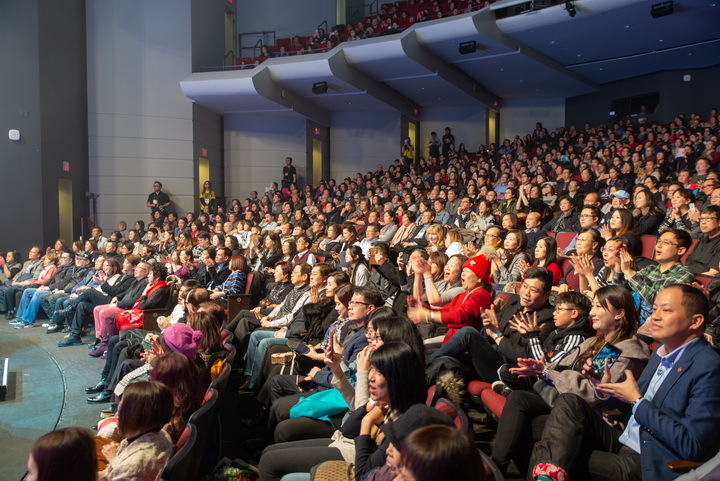 TVB Fairchild Fans Party has become an event that Toronto audiences eagerly await every year. We would also like to thank all sponsors and hope to receive more support in the future to enhance the show even more. 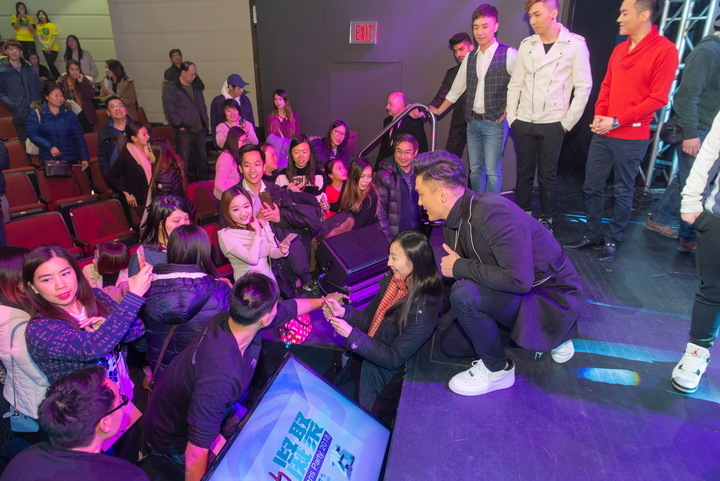 The four artists drew out four lucky winners and handed out TVB's official limited gifts to the audience. The crowd was very enthusiastic creating an exciting atmosphere. Everyone stayed until the very end and ended the night with wonderful photographs for memories. 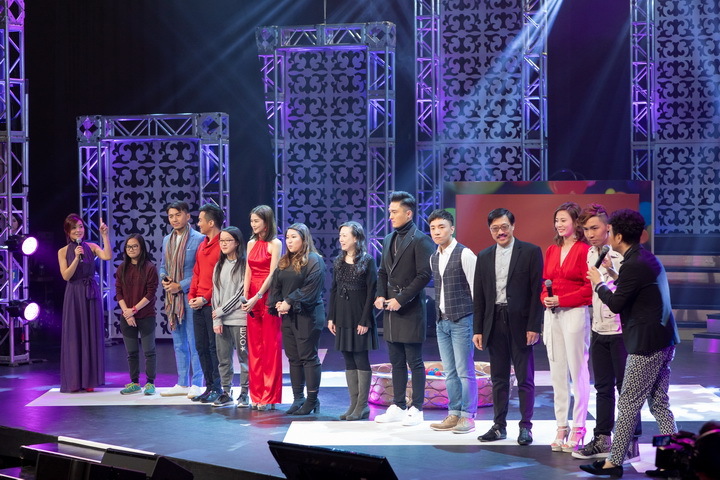 Chosen audience members paired up with the Stars into four teams to play games. They were having a good time in games with their team members. 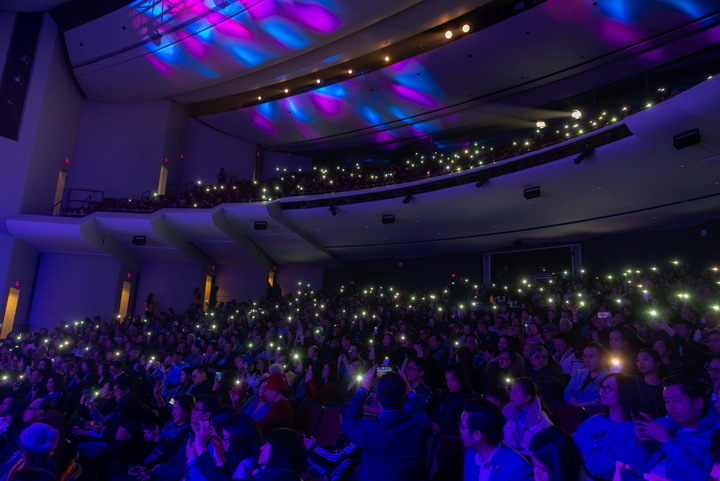 The audience lit up the theatre with their cell phones while they were enjoying their idols singing performances. 2017 Miss Chinese Toronto 2nd runner up Cynthia Fu interacts with the audience by broadcasting live at Facebook! Eddie Chau, Production Controller, Toronto (left) and Tina Chow, Director of Sales and Marketing Tina Chow, Toronto (right) presented souvenir to thank the four TVB stars. The four stars autographed on the huge backdrop leaving us with an unforgettable memory. 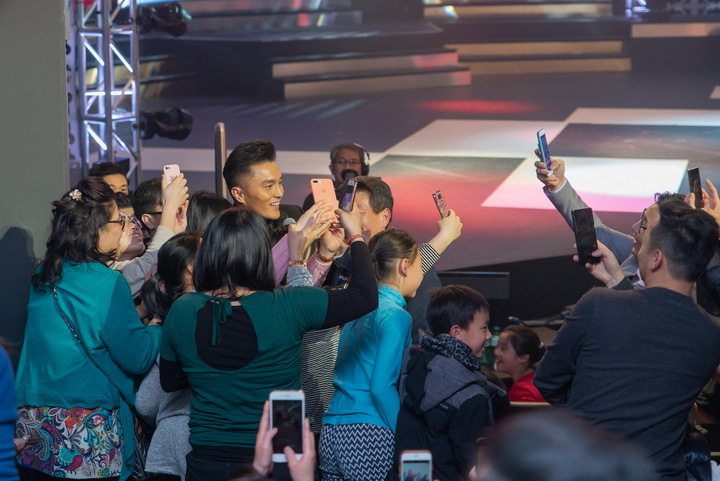 The four artists took selfie with the audience.